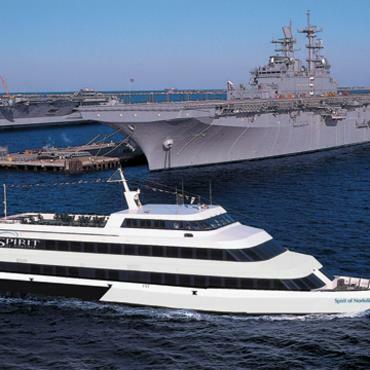 See incredible views of the Norfolk harbor and the Navy’s Atlantic Fleet aboard the Spirit of Norfolk. Enjoy delicious new menus and specialty drinks. Then, dance to DJ entertainment or relax on the new rooftop lounge. It all adds up to the perfect Norfolk experience. 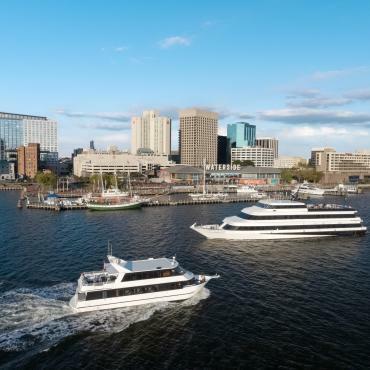 Cruising year-round from downtown Norfolk, Spirit offers lunch, brunch, dinner, cocktail, moonlit cruises and more. With complimentary event planning services and plenty of customizable options, Spirit is the perfect venue for your next group event or celebration. The Spirit of Norfolk has a capacity of 400 guests. From the moment you are welcomed aboard, the captain and crew of the Spirit of Norfolk will make your experience one of a kind.